Crystals: I nabbed these from the Third Eye here in Auckland. If you've wandered along Karangahape Road I am sure you will be familiar with it but the store is laden with all sorts of treasures and nicknacks. Anyway, I primarily grabbed these for my desk at work. 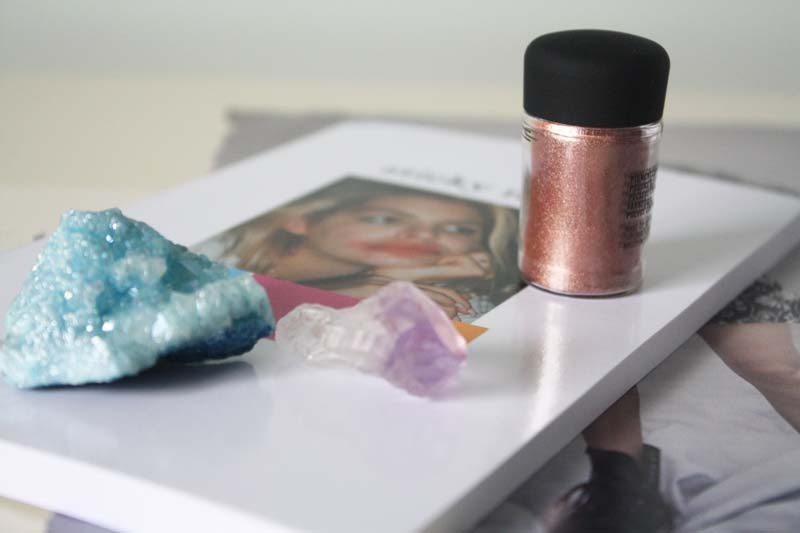 I don't know if I am one hundred per cent on board with the benefits and properties of them, but I do know that having crystals on my person seems to comfort me. Again, could be a placebo effect/sorceress Stevie Nicks thing but I like 'em. MAC Tan Pigment: I have wanted this for the longest time after seeing Anna raving about it back in her Vivianna Does Makeup days but also because I know Fiona loves it. My pictures really don't do it justice but it is beautiful. When I'm not time-pressed I will be playing around with it so expect selfies because y'know, I am inclined to document makeup-wearing. 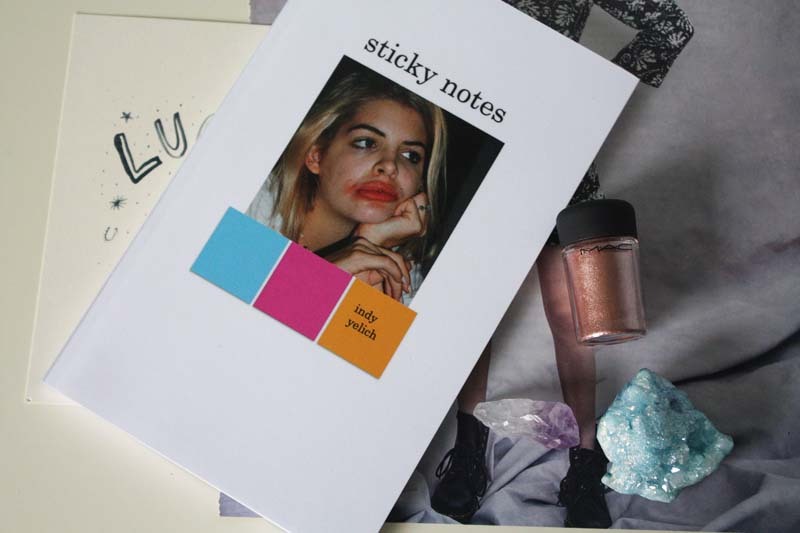 Sticky Notes x Indy Yelich: Indy might be Lorde's sister to the rest of the world but to me she is the gifted storyteller, who spins incredible yarns on her blog and tells such captivating tales on her vlog as well. She has just released her debut volume of poetry, split into sections based on the cities she now occupies; LA and New York. Poetry is quick to read but I have to tell you, if I'd not used up all my lunchbreak reading and eating, I would have read this in one hit. It's the kind of book you will want to inhale all at once, multiple times over. I don't want to compare her to Lorde because Indy's work really stands alone but she is just as talented a wordsmith and I can't wait to see what she does next. -What have you bought in March?